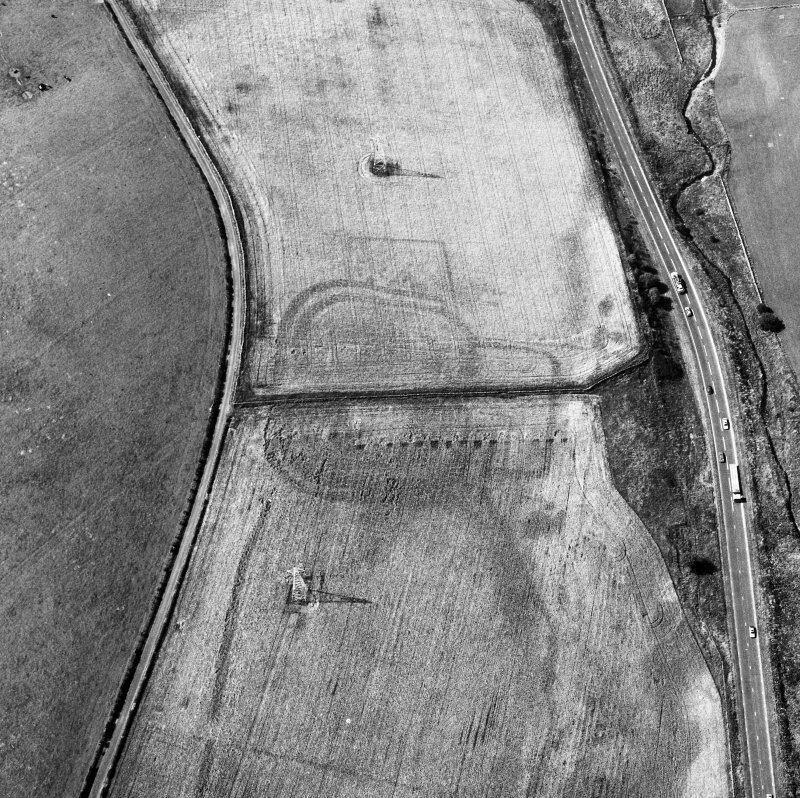 Oxton, Roman fortlet and annexes. 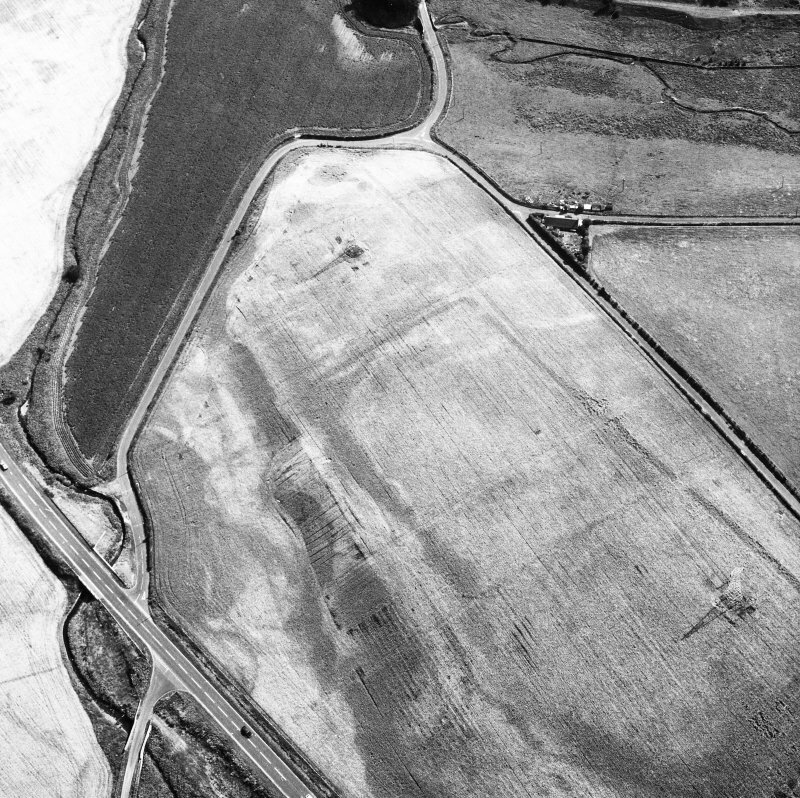 Digital image of BW/5035. Oxton, Roman fortlet and annexes. 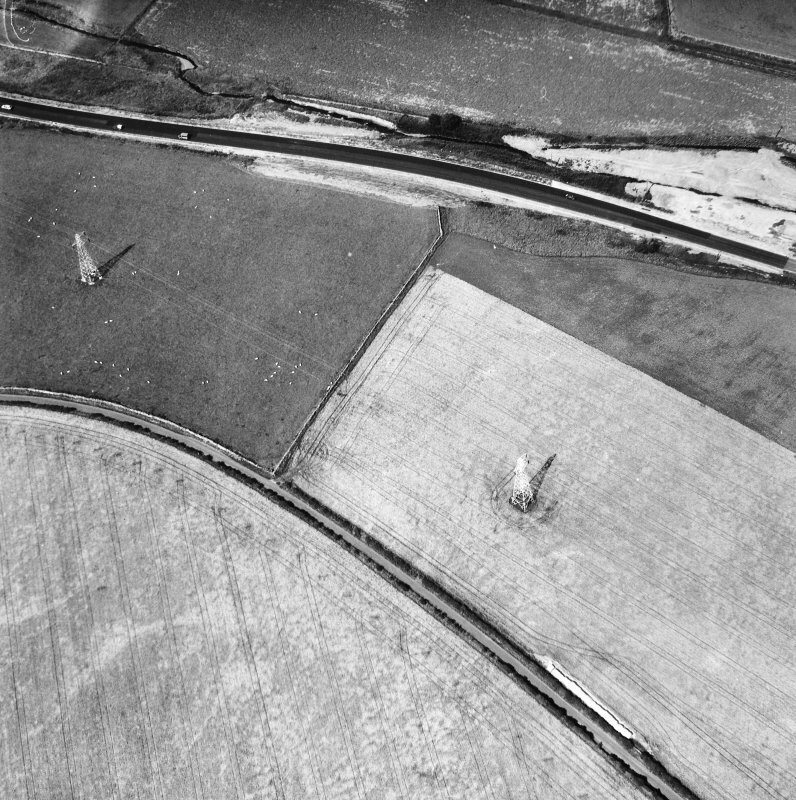 Digital image of BW/5042. 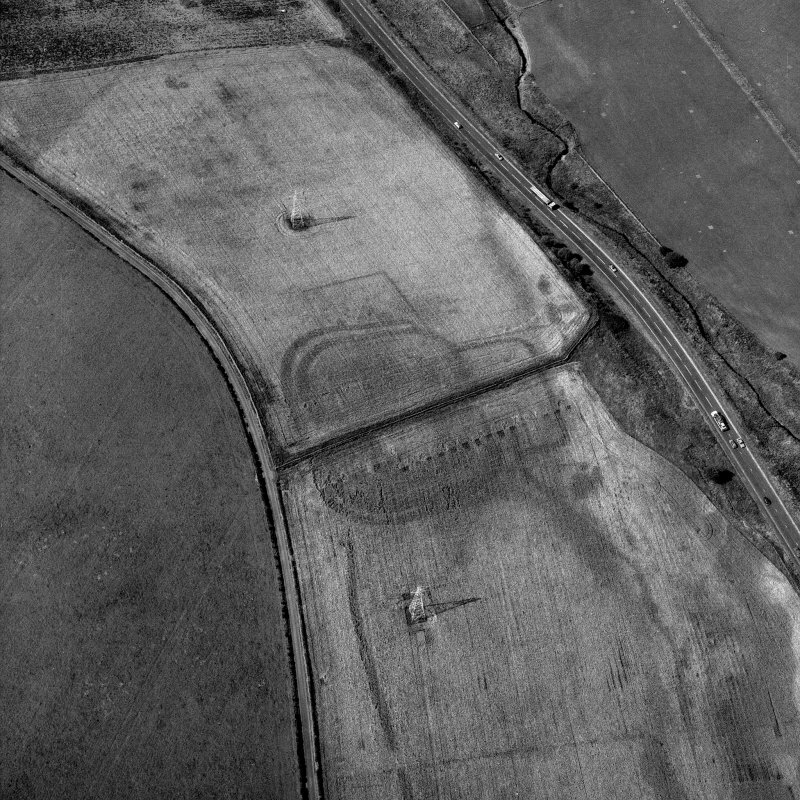 Oxton, Roman fortlet and annexes. 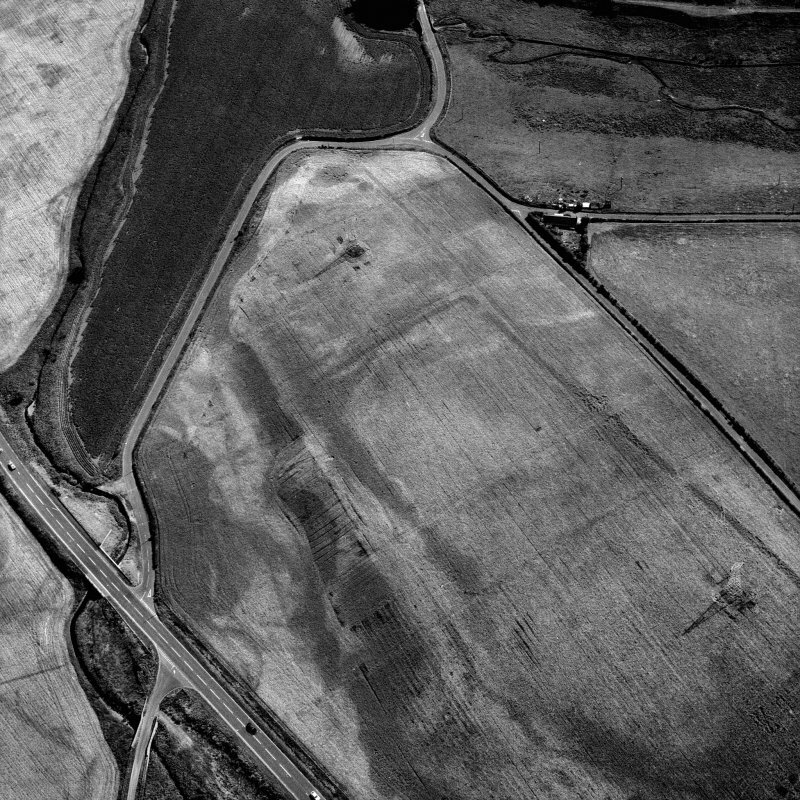 Digital image of BW/5040. 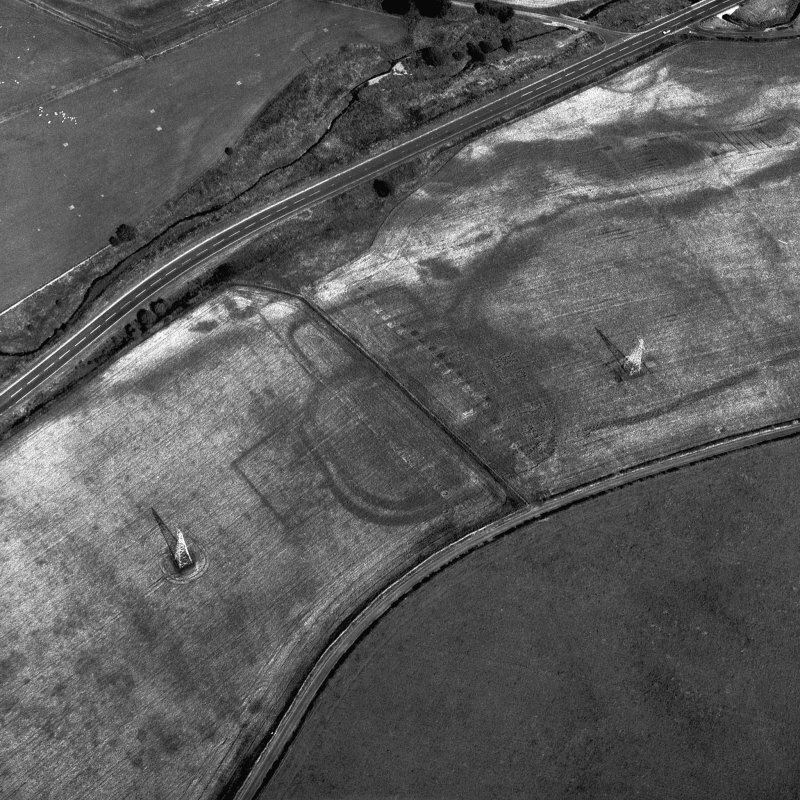 Oxton, Roman fortlet and annexes. 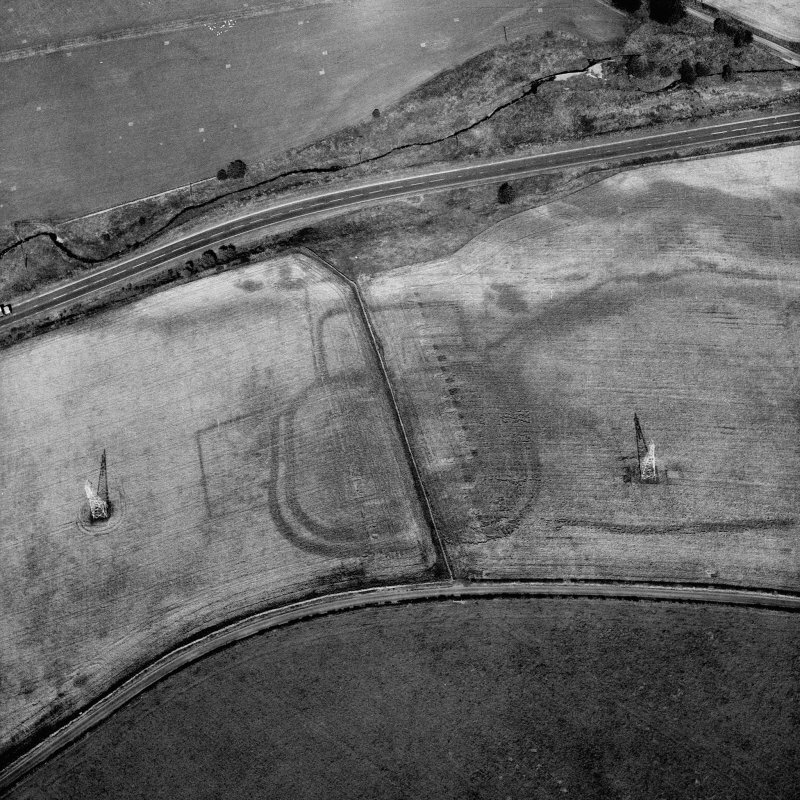 Digital image of BW/5036. 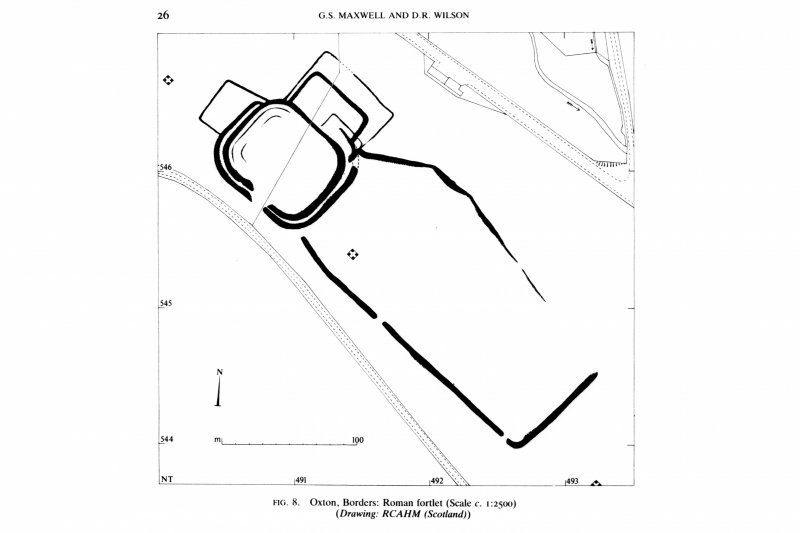 Copy of plan of Oxton Roman fort. 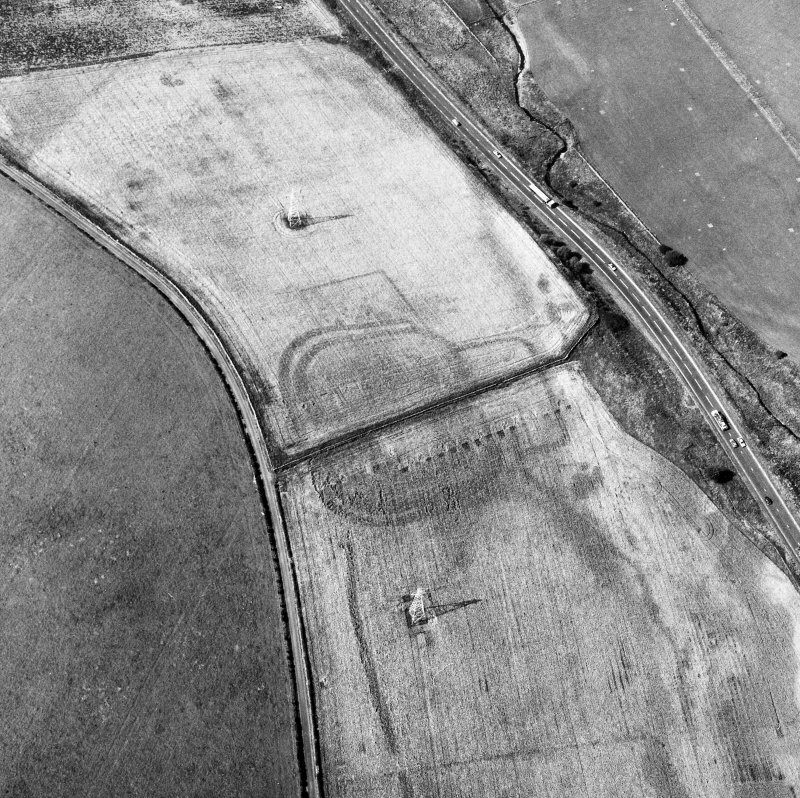 Oxton, Roman fortlet and annexes. 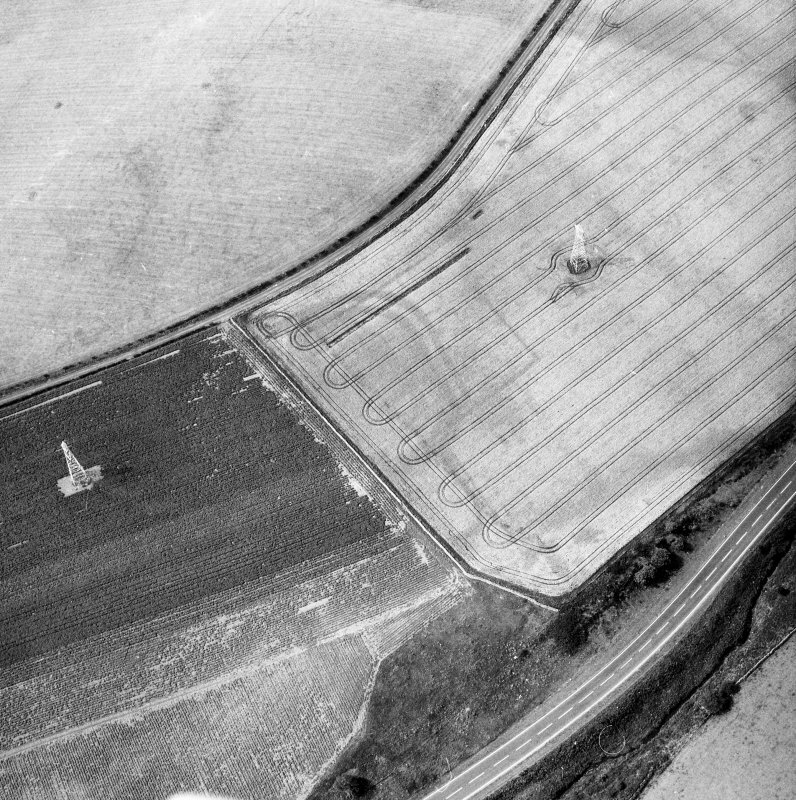 Digital image of BW/5041. 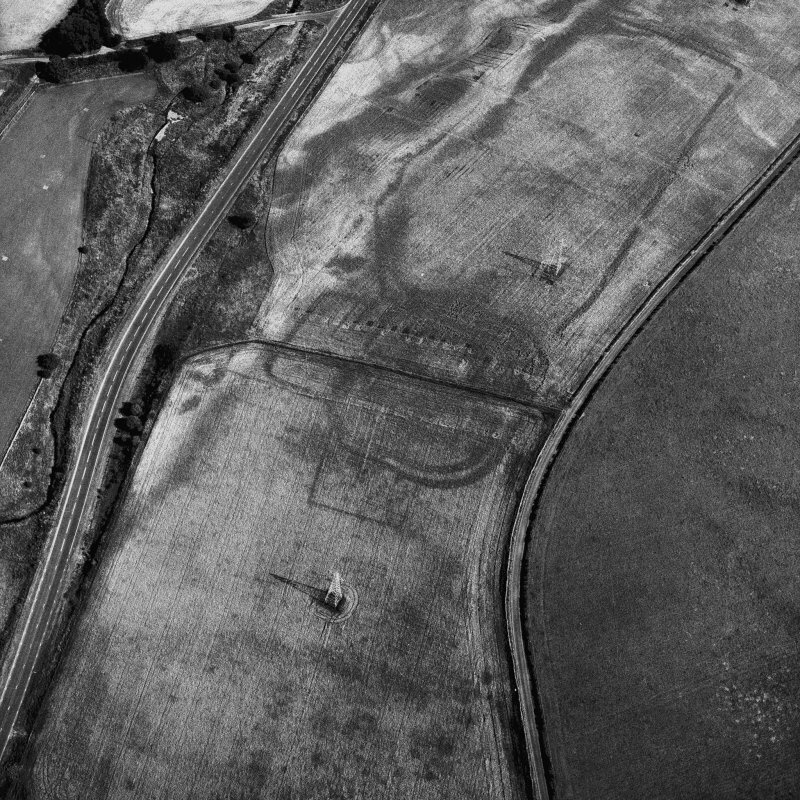 Oxton, Roman fortlet and annexes. 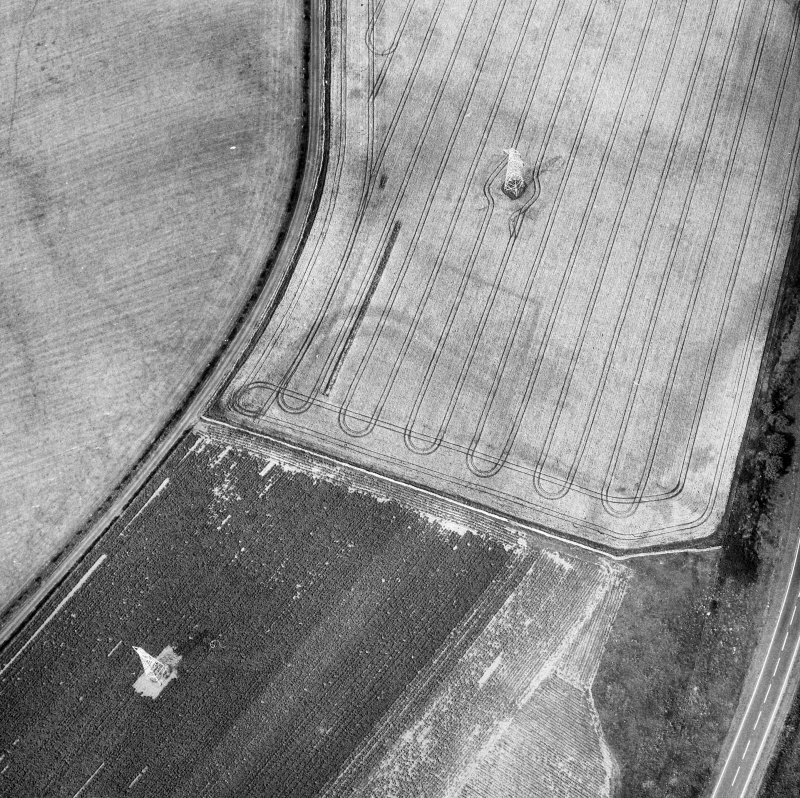 Digital image of BW/5038. 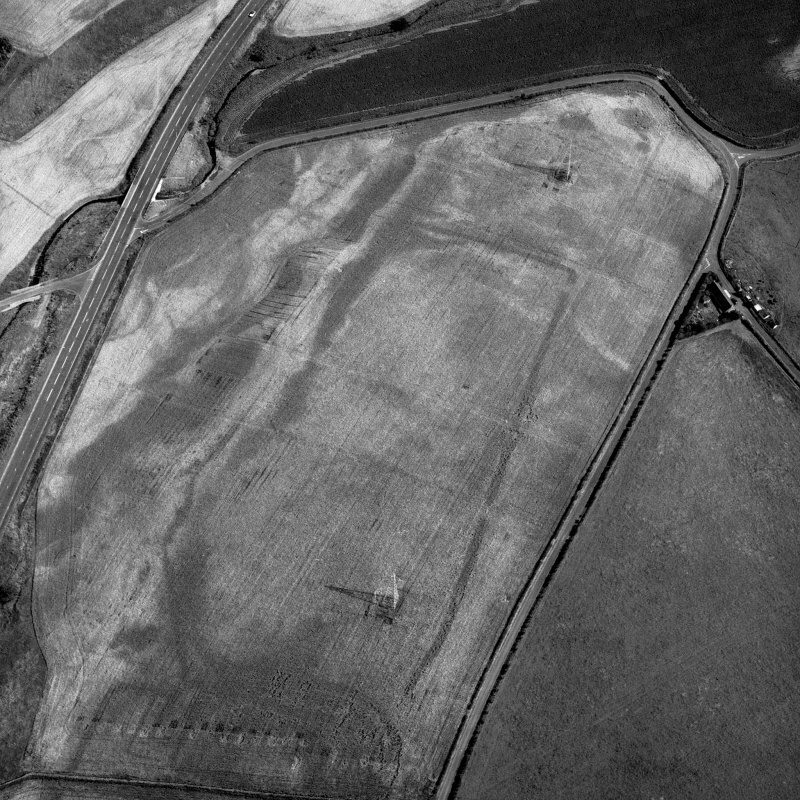 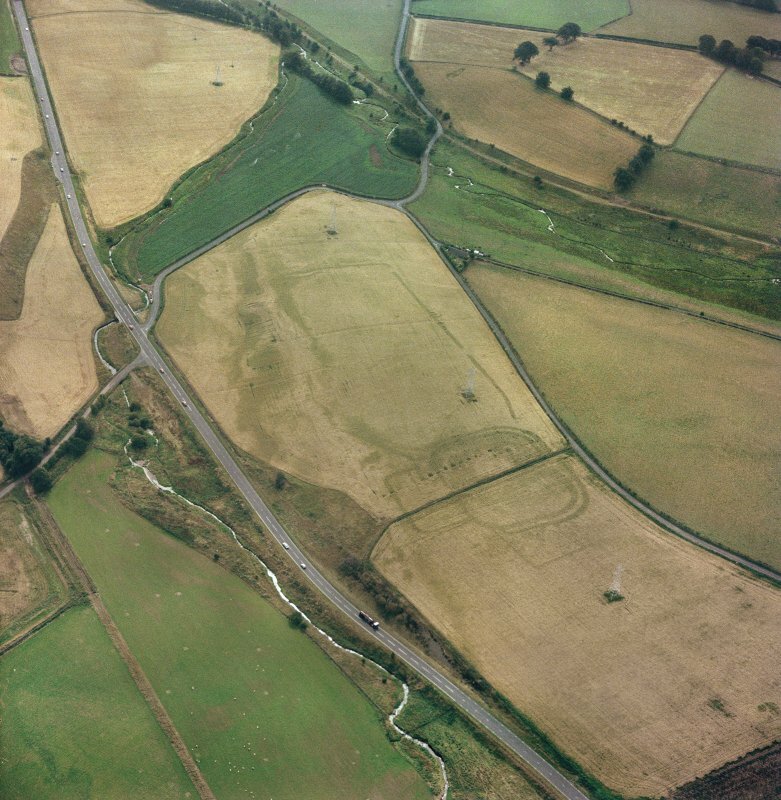 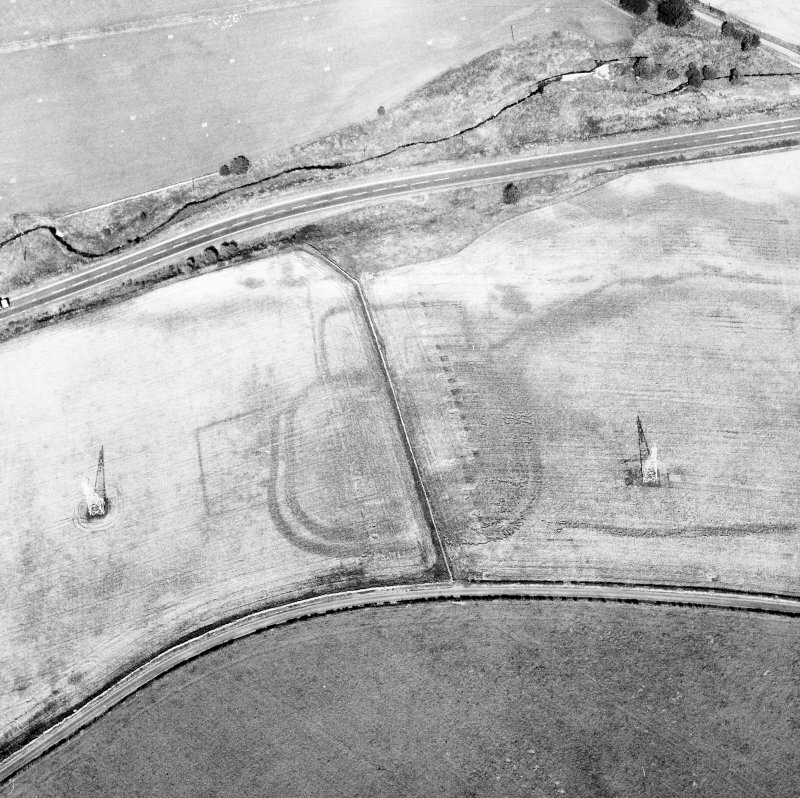 Oblique aerial view centred on Oxton Roman fort. 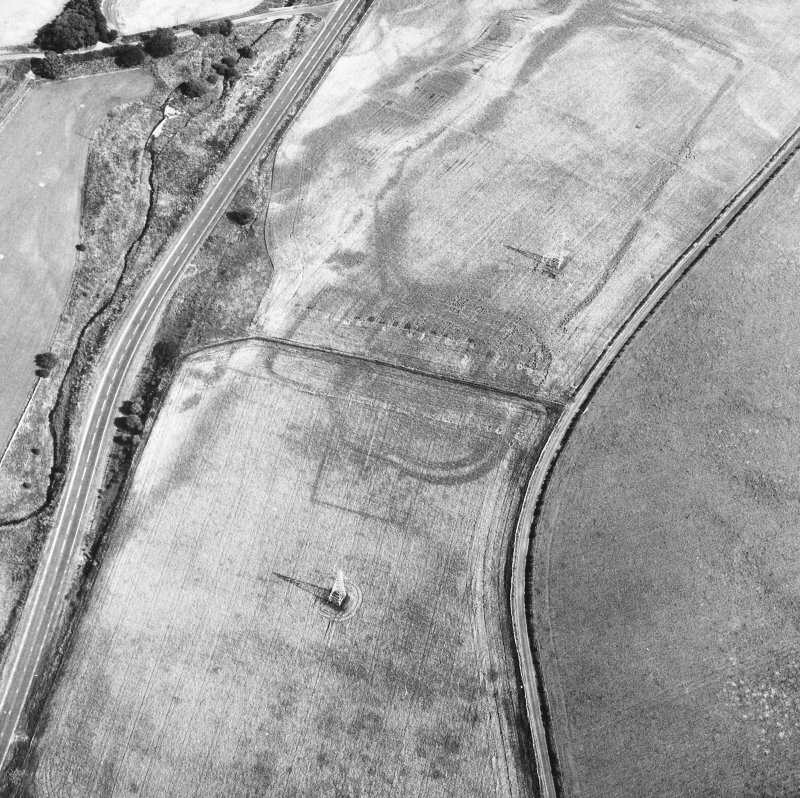 Oxton, Roman fortlet and annexes. 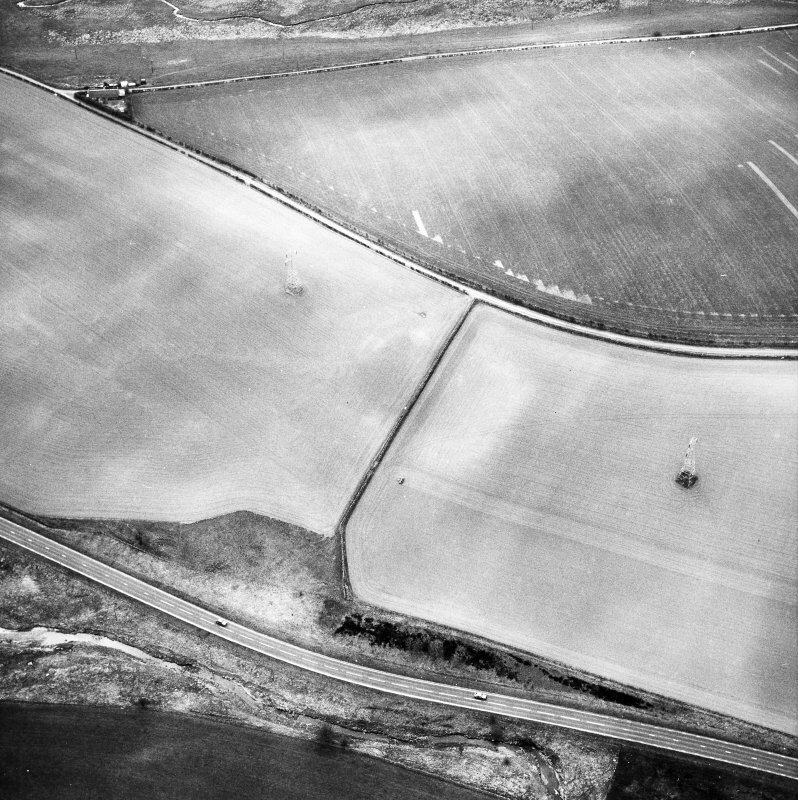 Digital image of BW/5043. 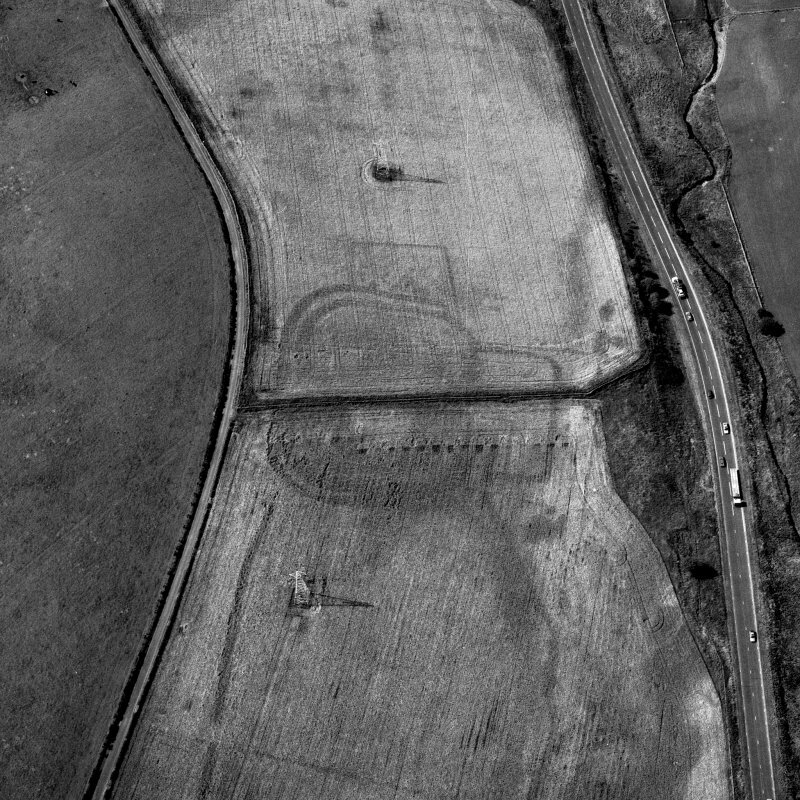 Oxton, Roman fortlet and annexes. 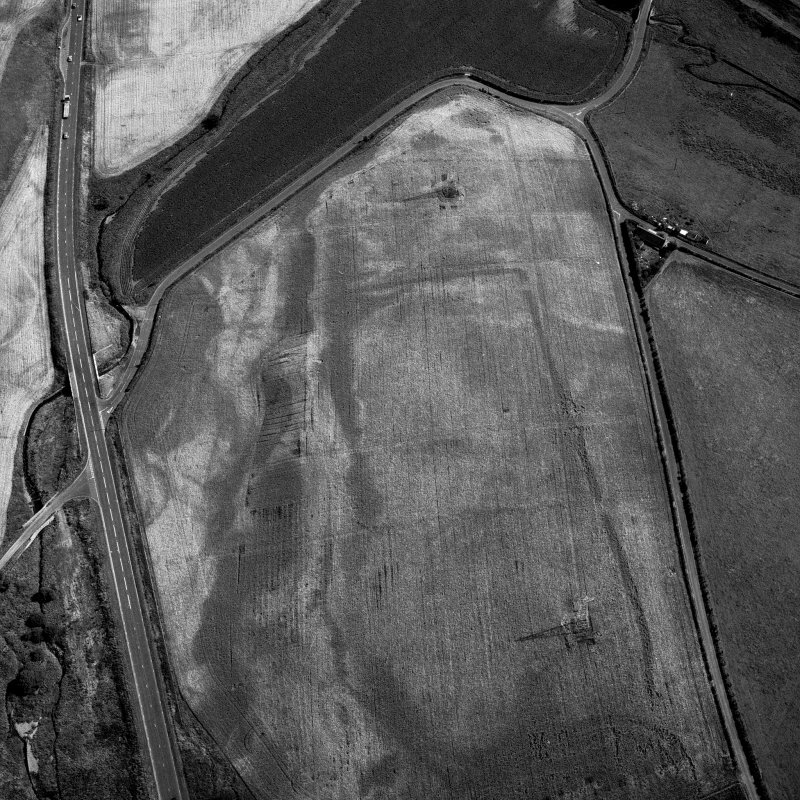 Digital image of BW/5039. 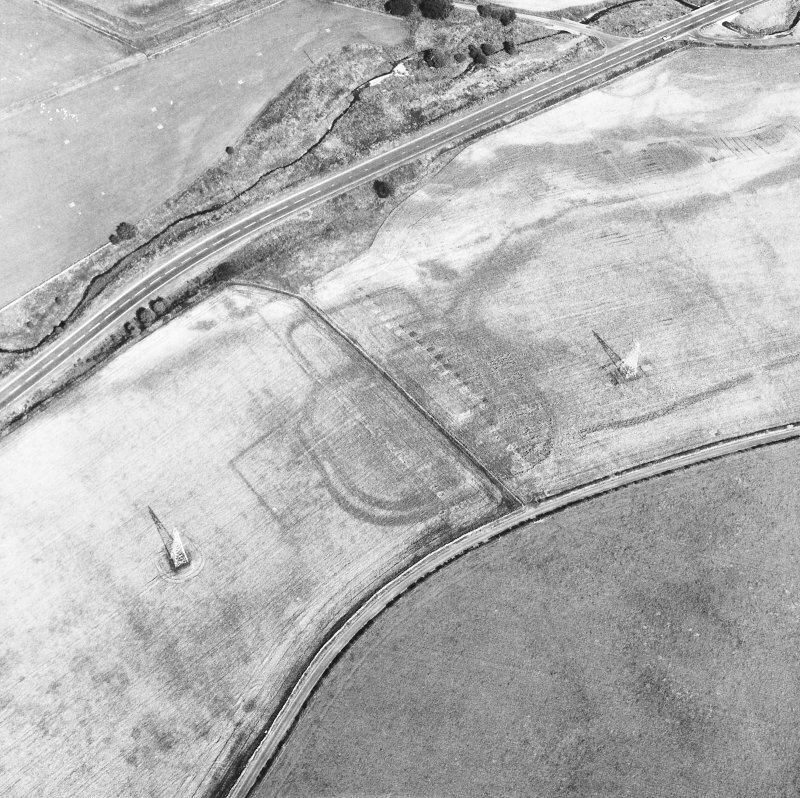 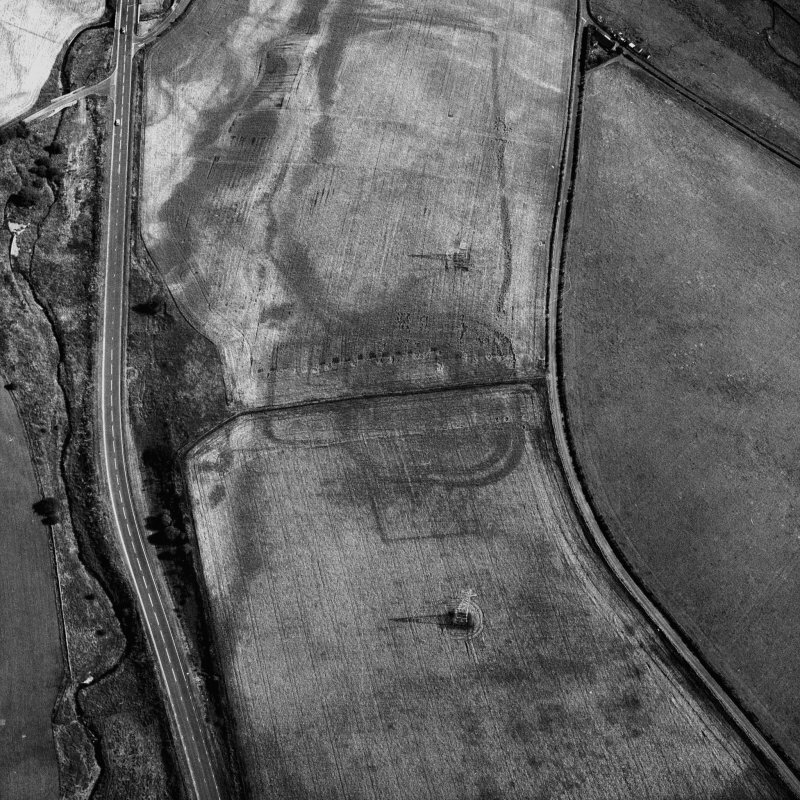 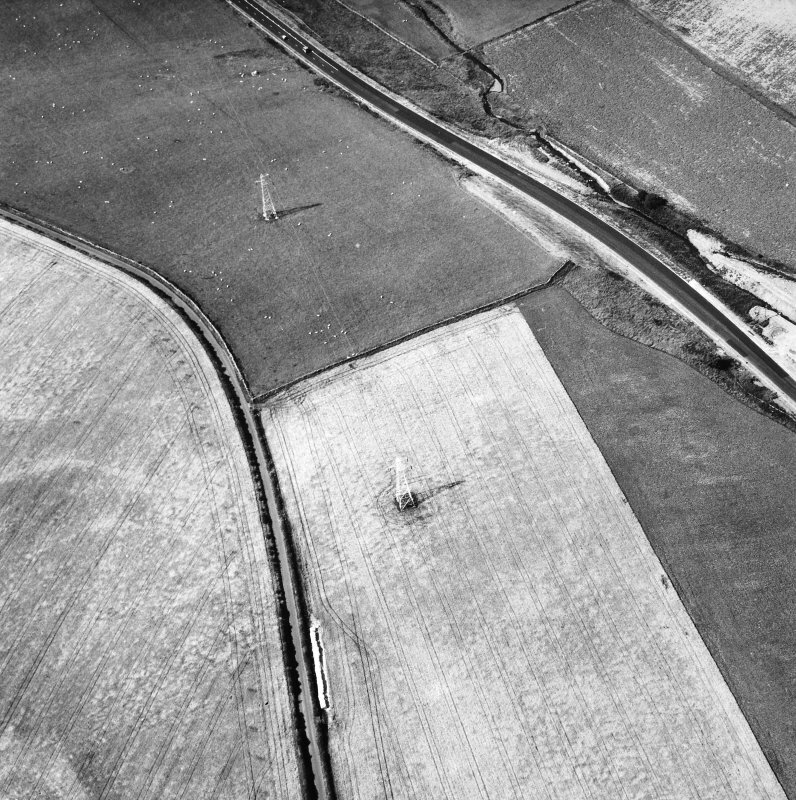 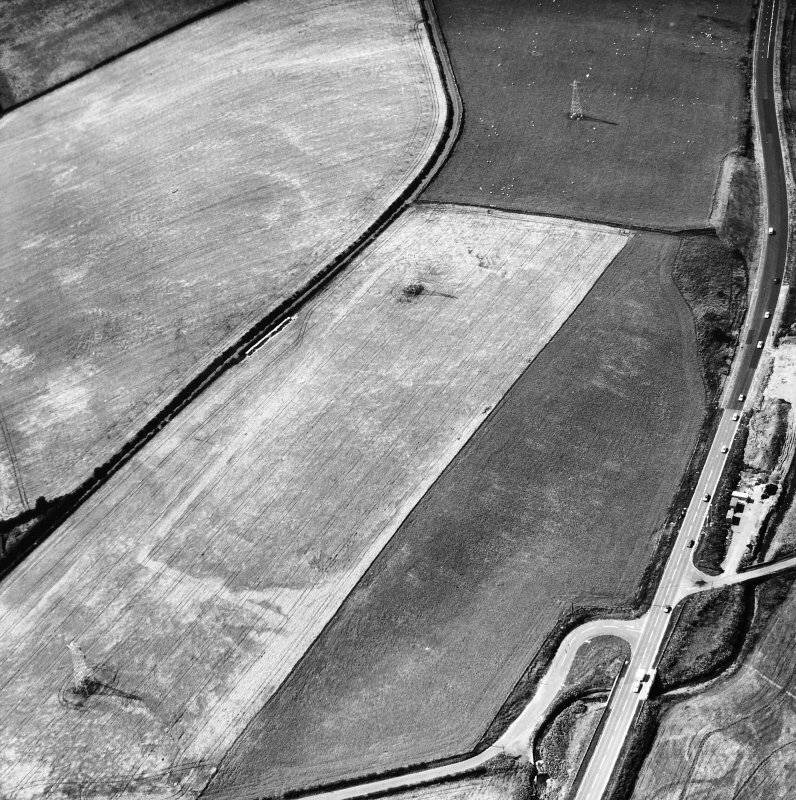 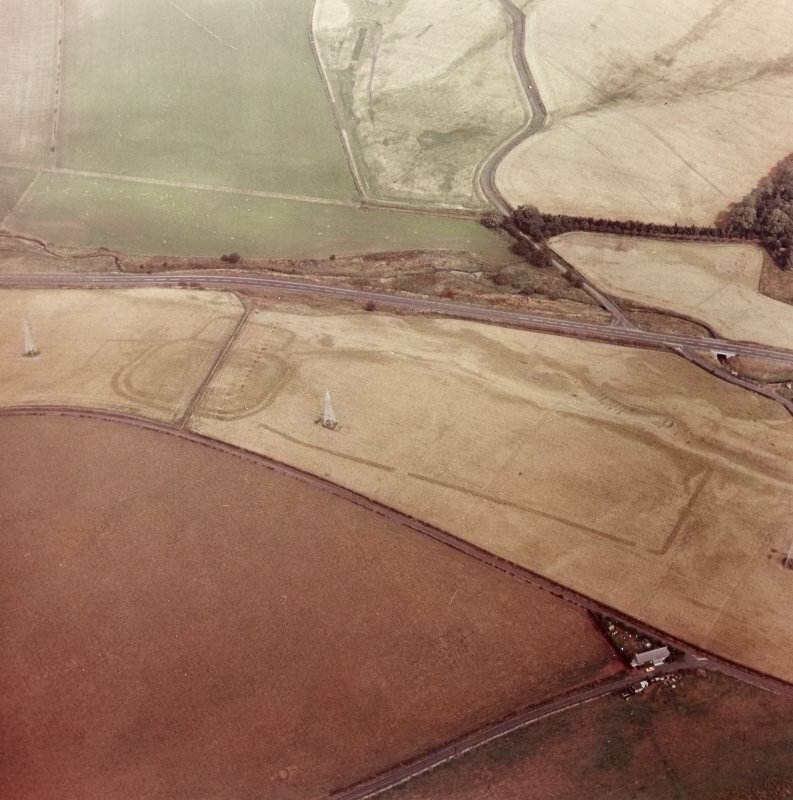 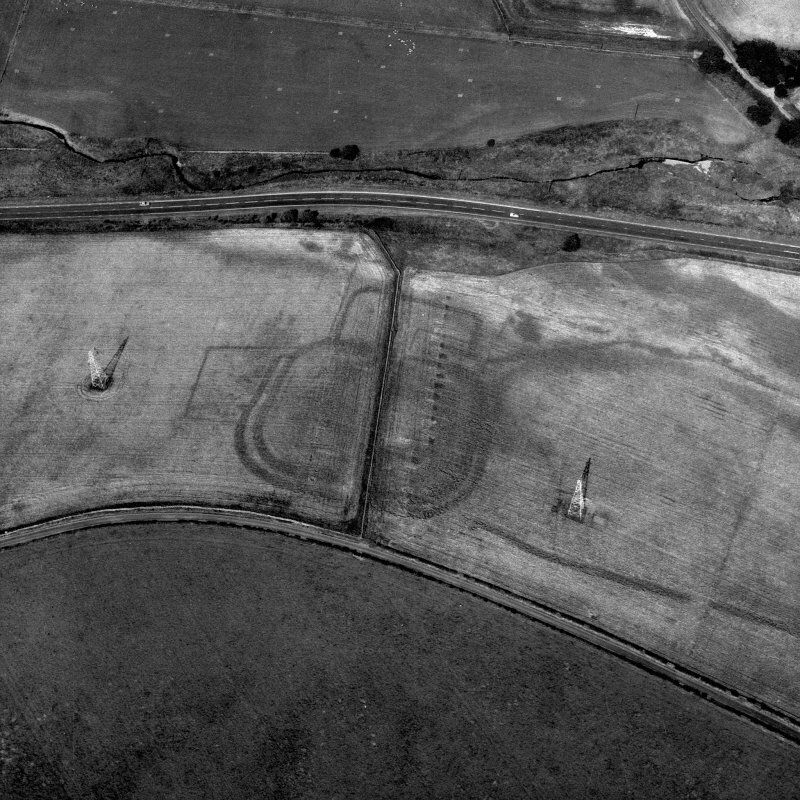 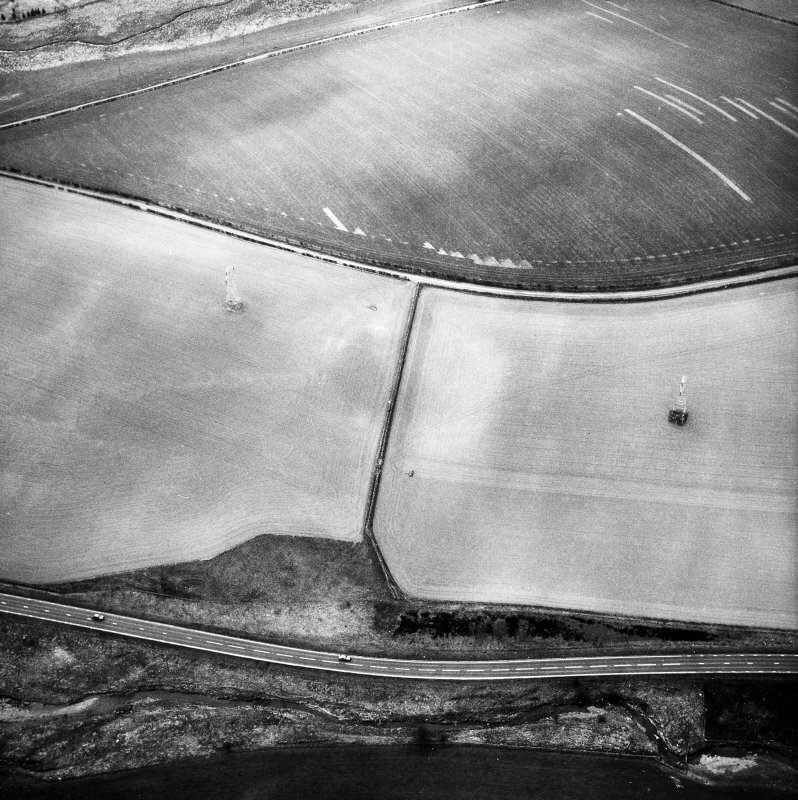 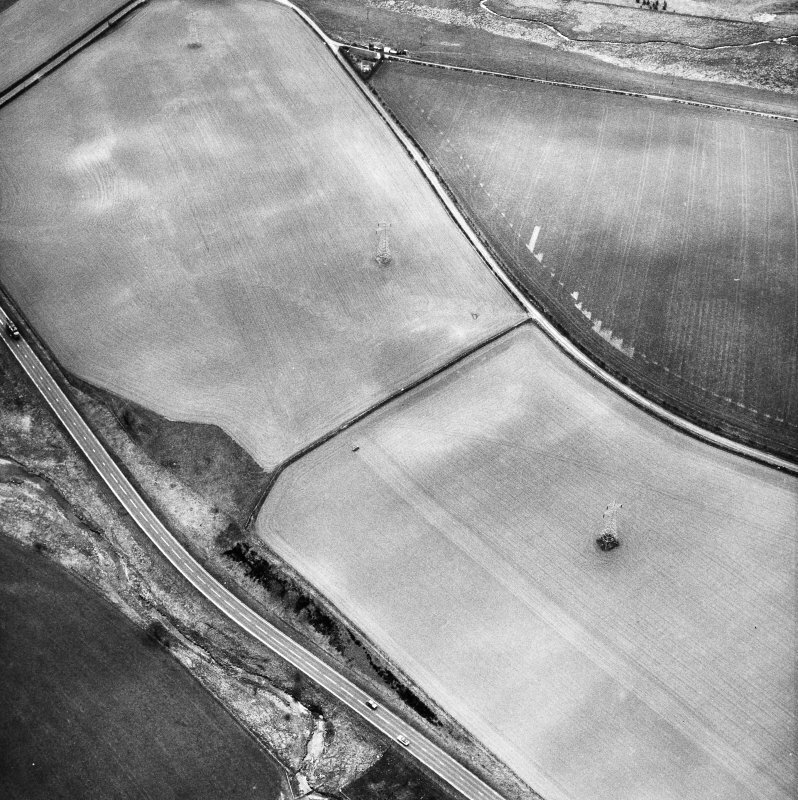 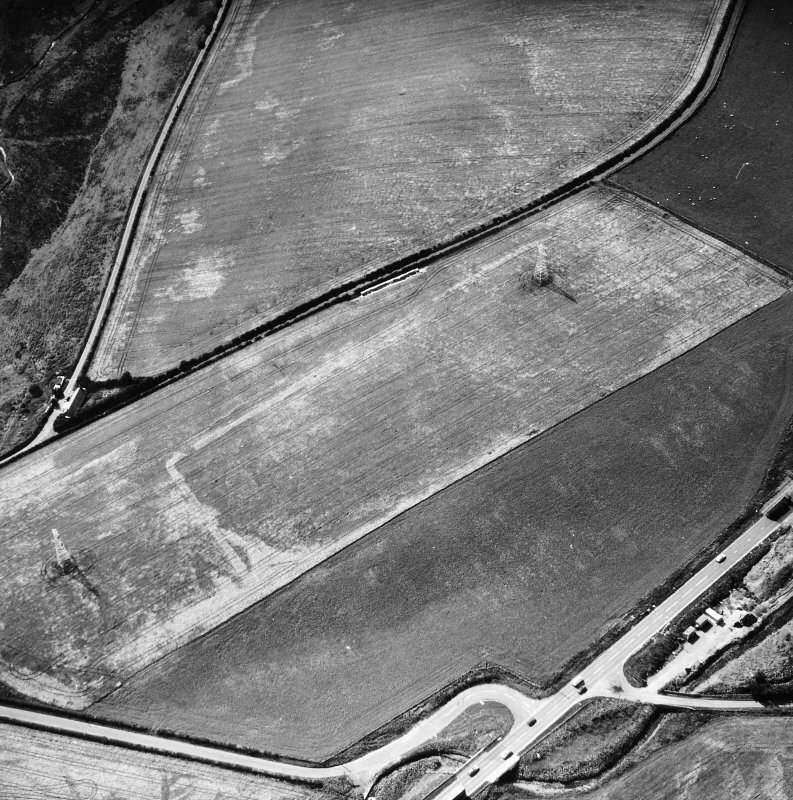 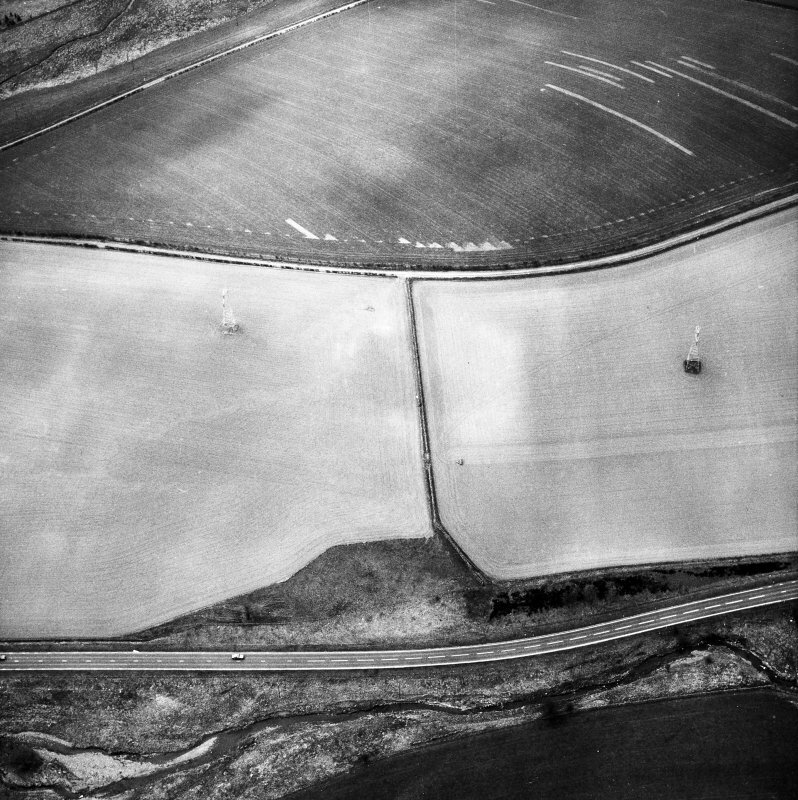 A small Roman fort, first recognised from the air in 1956, can still be traced on the ground although reduced by ploughing. 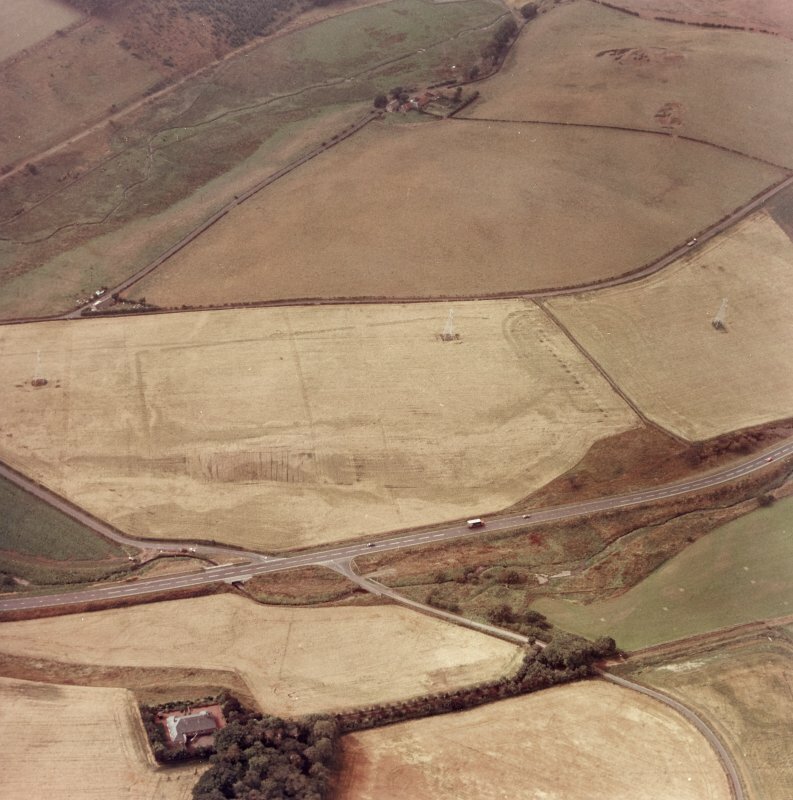 The defences consist of two ditches and a substantial rampart, perhaps 20ft wide, with angles turned in bold curves. 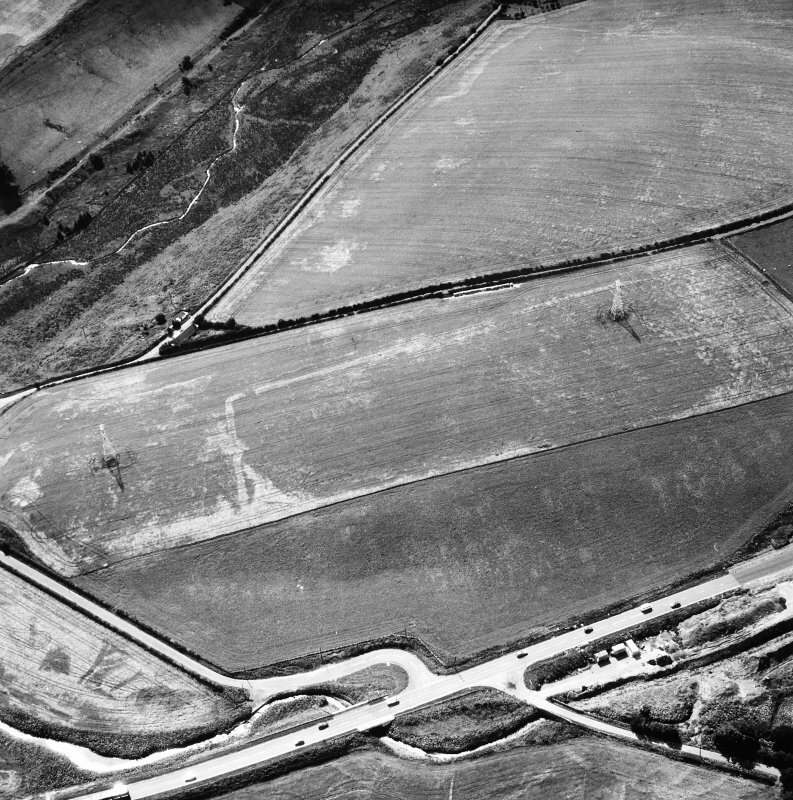 The fort measures about 150ft square over rampart crests. 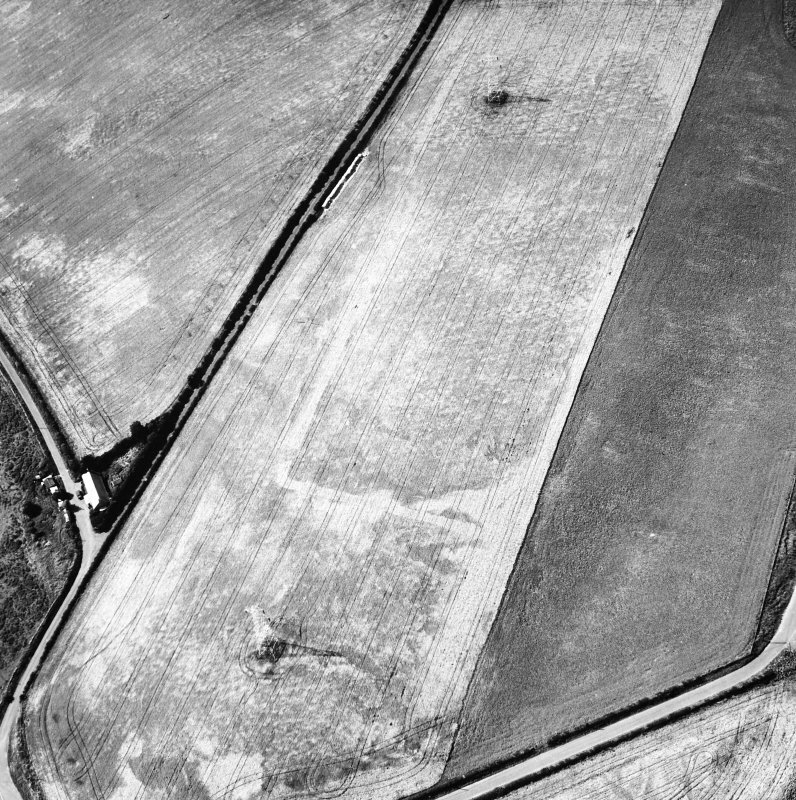 On the NE side is an annexe, perhaps 100ft square, defended by a single ditch. 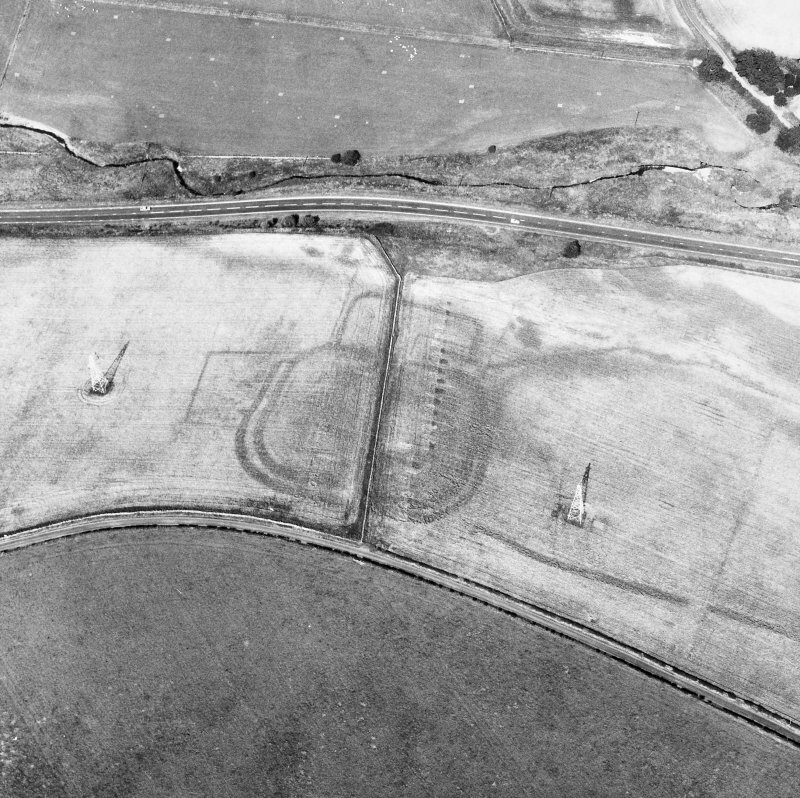 Since the defences are unbroken on the NW and SW, a gate may be presumed in the SE rampart (J K St Joseph 1958). 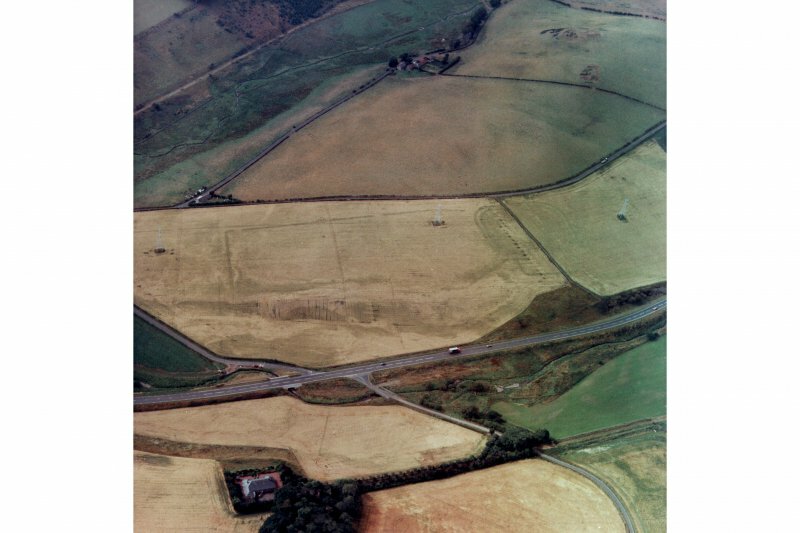 Two sherds of Antonine samian pottery, found in the area of the fort when ploughing, are now in the National Museum of Antiquities of Scotland [NMAS] (Accession nos: FR 691-2). 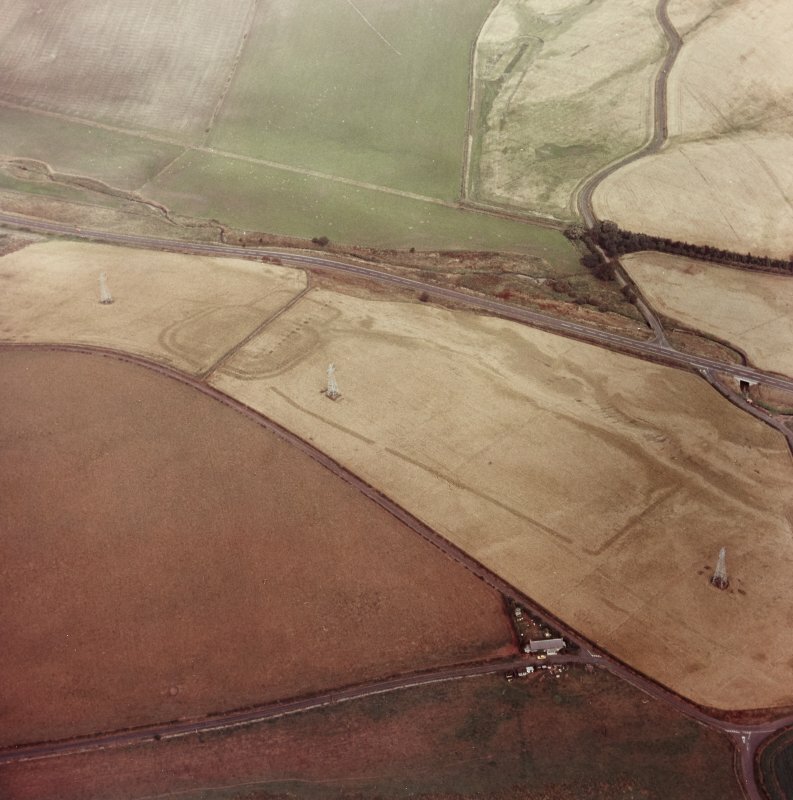 No trace of this fortlet could be seen when visited in 1965, and in 1975 the field was under a crop of wheat and nothing of significance was seen. 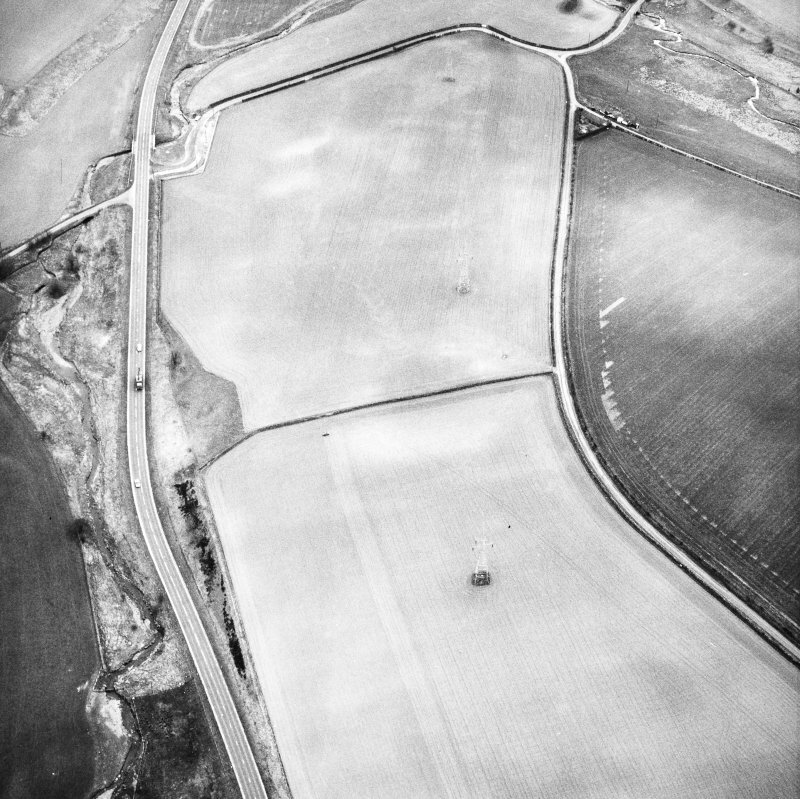 Annexes identified on the NE (two; one broad - and one narrow - ditched), on the NW (one, narrow - ditched), and on the SE; this last is by far the largest, enclosing an area of about 2 ha. 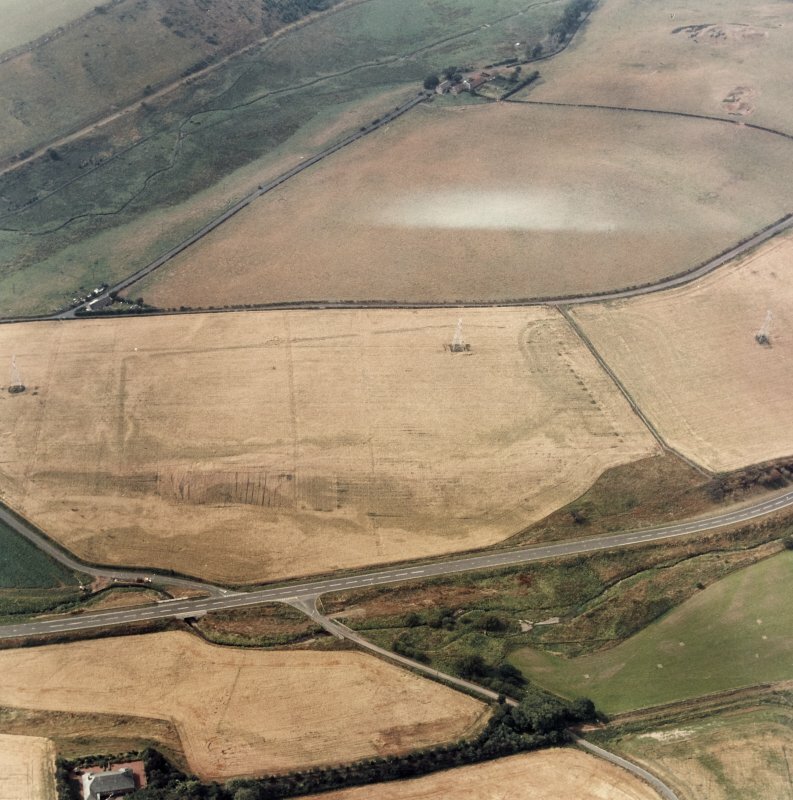 The entry in the Schedule of Monuments relating to this monument was amended in 2016.